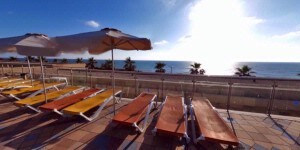 The Blue Bay hotel & Spa's pastoral atmosphere forms a perfect setting for the hotel rooms, seated on the cliff whithin reach from the Mediterranean sea. The specious rooms host pampering furniture and accessories. Each cliff room includes a private lawn granting it with a unique atmosphere. Be noticed, only reservation on half board or full board will be confirmed on rosh hashana period 4-7/9 ! reservation based on breakfast only will not be confirmed. We wish you a nice holiday. 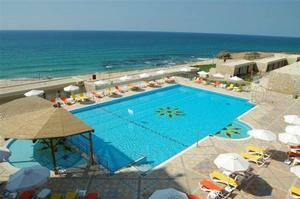 The Blue Bay hotel offers modern guest-rooms and suites are overlooking the sea (with a balcony) and suites. 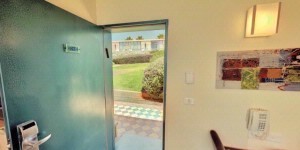 Each of the The Blue Bay hotel guest-rooms are innovatively designed with a parquet floor and elegant furniture air-conditioned and equipped with: Plasma Tv, a balcony, mini refrigerator, microwave, coffee corner, volts, cable television, a sitting room and new bathrooms that include a hair-dryers. 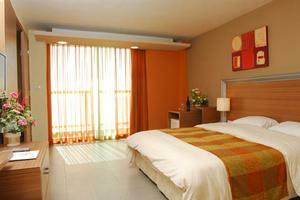 All of the Blue Bay hotel guest-rooms are spacious accompanied with relaxing and comfortable furniture and accessories. Blue Bay hotel & Spa is situated on the cliff at an amazingly beautiful location, surrounded by the deep blue water of the Mediterranean sea. 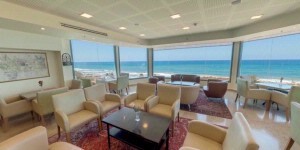 The hotel is situated half way between Tel-Aviv & Haifa, far from city bustleyet near to entertainment & pastime centers. 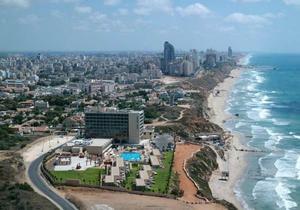 Driving Directions: The Blue Bay Hotel is situated in the northern of Netanya, overlooking the sea. 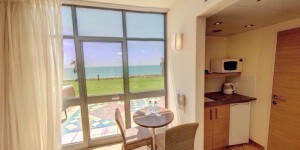 Whether you come from the north or the south, you should enter from the coastal highway, entering Bitan A'haron interchange, and following the signposts leading to Netanya. Immediately after getting off the interchange, you will see a gas station on your right. You should continue driving on the road leading into Moshav Havatzelet HaSharon. You will come to a T crossing in front of the sea; take a left turn on this intersection and proceed straight for 2-3 km until you reach the Blue Bay Hotel (on the right). "Hotel is okay, but could be a little bit better...."